TECHNOLOGY AND CONTROL ARE THE AGENDA MANY ARE FALLING ASLEEP TO AND IN ITS SPELL. Life is forever changing on your planet and the quality has now become quantity. The more your world is removed from nature, the greater challenges of your quest for stableness of your mind, hearts and spiritual understanding and happiness. The body and the mind need balance and creative flow that comes from the soul. But the illusion is you are being programmed into creatures of the need of stimuli that is foreign to the way you are designed. Happiness is in essence, peace or centeredness of your being not being pulled to needs that have to be satisfied, for this enslaves you to the quest of satiation of those cravings. What has happened in your world is that these basic needs are being magnified into pangs of hunger and cravings. These are used to have you consume and respond to the deliberate manipulations of your psyche and body, by very sophisticated chemicals that affect your dopamine levels and appetites that are not in balance to a sustainable level. Feeling good and happy is an effect of chemical triggers of beta-endorphins released in synaptic pulses in your brains. The manipulations are played on your societies from pharmaceutical companies and your food factories, to the material gadgetry you need. Even your very computers are being overwritten with waves of light and stimuli that entice you to needing this on a very unconscious level. What this all means is your souls are being entrapped deeper and deeper into the 3-dimensional realms. Your knowing of the inner dimension of the soul and nature is systematically corrupted, to the point your union with creative flow and stimuli will not come from your souls, but from artificial intelligence. In the not too distant future your whole societies will be linked to massive computers that will “educate” you into the real and “scientific” agendas of beings behind the scenes that want to have your souls enslaved to this material realm and not go further to Star Seed and evolution, for they need the life force of your souls to sustain their creations and agendas. Things will be “better”. Your cars will drive themselves, your children will be programmed into wonderful complacent human resources, and drones with synchronising controls, and will have lost the connection of their own sense of awareness. You can see it everywhere you look. People need to have their fix by staring into a hand-held device as they walk down the streets, have their meals and social context. Soon there will even be implanted chips for your security, identification and “convenience” where you will be monitored and headed to mass mingling and agendas, all controlled by one World Government. This is not just a prediction, it is already happening. Your only course is to be vigilant and be very mindful of your foods, entertainment, and cravings and to disconnect periodically in nature to find your real nature. Keep your minds active and away from computer simulation 24/7 and pick up a book, listen to some nice music and walk in nature. Use your own information and insight to keep a perspective, or even this force of your soul will atrophy. Remember you are more than this. Previous Previous post: YOU CAN BE THE GEM OR THE PEARL BY YOUR DESIRE TO ENDURE THE PRESSURE AND LESSONS. Next Next post: WHEN YOU ARE IN THE PLACE OF GROWTH, WE WILL BE THE LIGHT ALONG YOUR PATH TO ASSIST YOU. The Teachings Of Quential claim no ownership of the artwork used on this website. Thank you to all the amazing artists and visionaries of this realm who turn their dreams into reality. 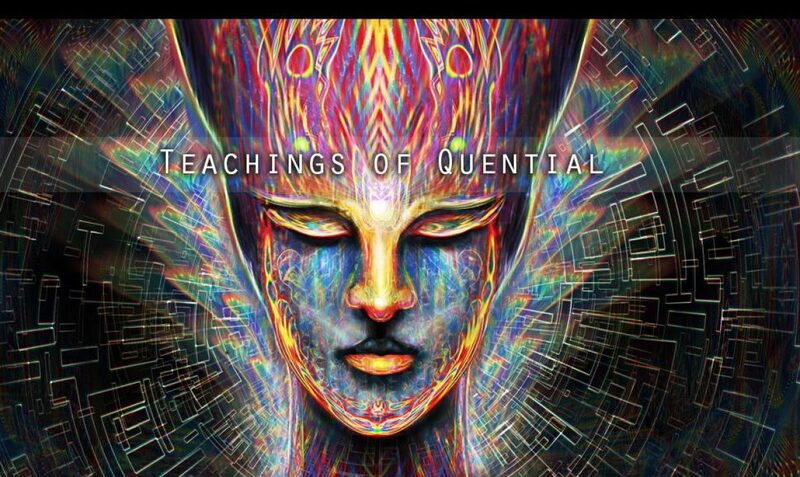 THE TEACHINGS OF QUENTIAL Blog at WordPress.com.